A Fort Bend bail bonds company can get you the instant bail bond help in times of crisis. We understand the pain of having a loved one behind bars. To make life less miserable for you, our reliable and quick bail bond company in Fort Bend is all you need. Be it for any reason ranging from traffic tickets, warrants or any judiciary action, our bail bonding service is well equipped under the judicial law to handle all these. The bail bondsman provided to you will help in understanding your case, designing a specific bond under the legal provisions of the Commonwealth of Virginia and finally securing the release of your imprisoned people. Life in jail for a loved one could be tough and you will want to make sure that they come out as early as possible. 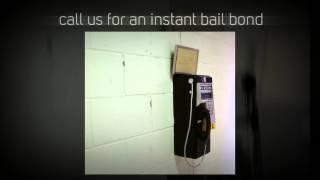 We, at A Fast Bail, seek to help you with all types of Richmond TX Bail Bonds. Being placed down the street next to Fort Bend County Jail, we are easily approachable. You can come to us without wasting your precious time. Our Bonding Company in Fort Bend County helps you with all types of warrants in quick turnaround time. We have fast yet legal solutions for all issues requiring legal assistance with bail bonds. We understand the value of your time, so that we have made our Bail bonding fast, easy to use and result oriented. We are known for getting people out of jail faster- as quick as in 24 hours in some cases. Save yourself from the extra worries and feel relieved by giving us the opportunity to assist you with faster Bail Bonding. We are helping people get out of jail faster. Based in two locations – Fort Bend County and Washington County, we offer quick bail bonds in cases like Credit card fraud, aggravated assault or grand theft charges.